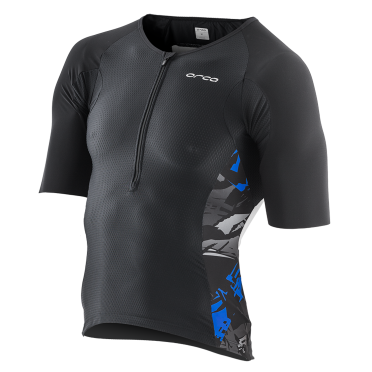 The Orca Swimrun Core neoprene top men is designed specifically for the warmest swimrun competitions. 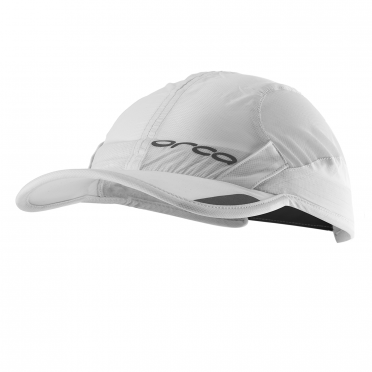 It adapts to both the needs of the footrace and swimming segment. 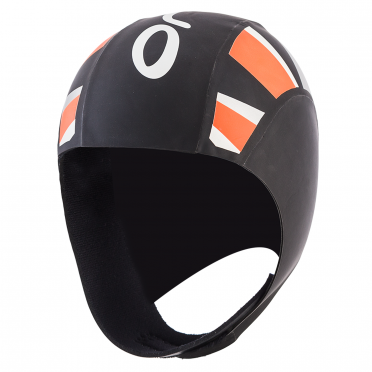 Its two part construction, connected with Velcro, prevents water from getting in while you swim, and lets you open the wetsuit or take it completely off during the race transitions. Extra buoyancy in the lower trunk keeps your legs on the surface while you swim, without hampering your freedom of movement during the footrace. It is designed to make your swimrun race more comfortable. The Orca Swimrun Core neoprene short men is designed specifically for the warmest swimrun competitions. It adapts to both the needs of the footrace and swimming segment. 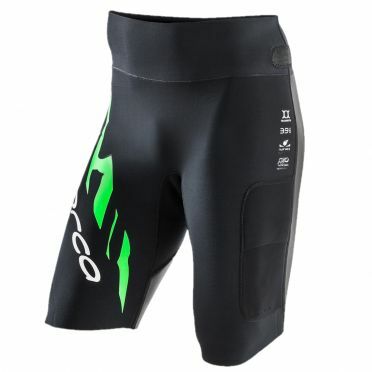 Its two part construction, connected with Velcro, prevents water from getting in while you swim, and lets you open the wetsuit or take it completely off during the race transitions. Extra buoyancy in the lower trunk keeps your legs on the surface while you swim, without hampering your freedom of movement during the footrace. 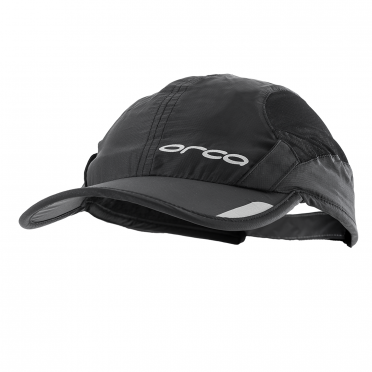 It is designed to make your swimrun race more comfortable. 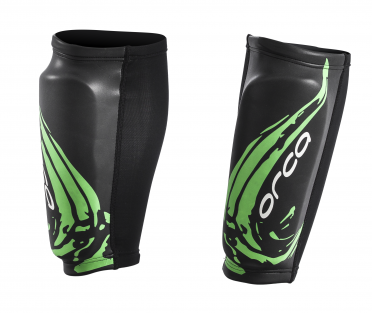 These Orca Swimrun calf guard have been designed specifically for swimrun racing. They give you extra buoyancy in your legs and eliminate the need for a Pull Buoy, allowing more freedom of movement. They also protect your shins from rocks and weeds in order to avoid small scratches that can take away from your enjoyment of the race. 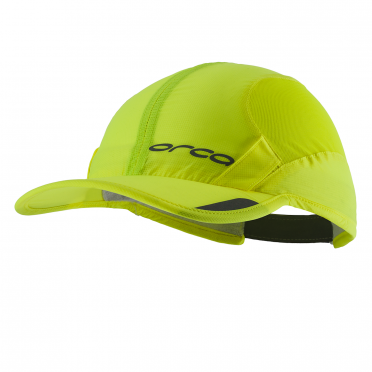 The perfect companion for your swimrun races. 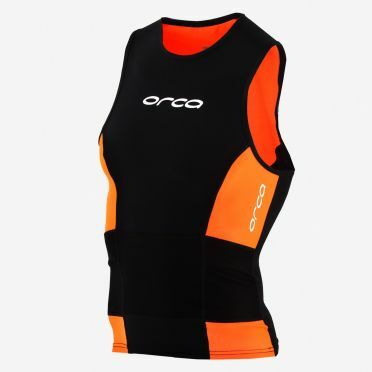 With it's unique blend of Stretchskin and Vapour-Cool fabrics, the Orca 226 Kompress race trisuit sleeveless black men will improve aerodynamics, decrease muscle fatigue, naturally keep you cool, and provide maximum comfort over long distances. A regenerated Tri-Tech Chamois with 110kg density is cushioned in just the areas triathletes need, while angled covered pockets give plenty of space to store all the nutrition you need. 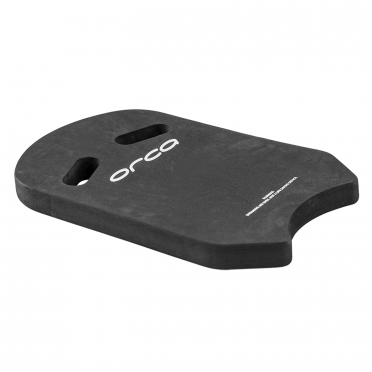 The Orca Core basic race trisuit black/white/red men is synonymous with aerodynamics and comfort. It is made from environmentally friendly Italian-made recycled nylon to offer you the perfect fit, sun protection and maximum breathability. The grip at the bottom of the trousers prevents the suit from moving about while you’re training or competing. You can also keep everything you need in its rear pockets to have within easy reach at all times. 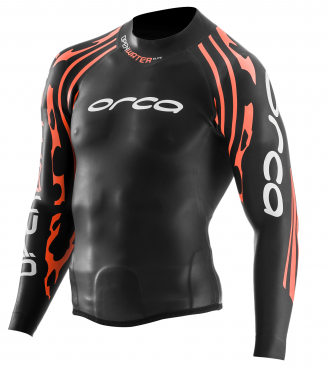 The Orca Swimrun top unisex has been designed specifically to perform in swimrun race conditions. Light weight AquaStretch fabric dries fast and provides supreme breathability - perfect for switching constantly between running and swimming. Soft binding and flat-lock seam construction allow for next-toskin-comfort while three front pockets and one rear stretch mesh pocket provide ample space to store all your swimrun needs. 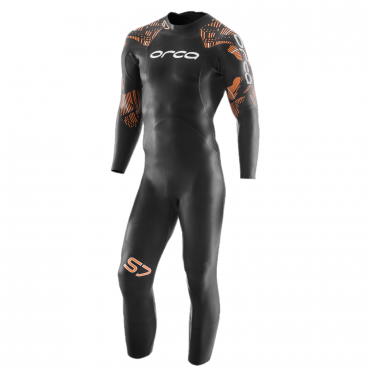 With the goal of bringing the latest innovations to the world of Swimrun, Orca present you with their third-generation wetsuit, the Orca Swimrun RS1 men. The main goal was for this wetsuit to be lightweight and to offer maximum flexibility for the fastest swimrunners. The use of our exclusive Yamamoto 44 material in the shoulders offers unparalleled elasticity for swim strokes, and its revolutionary vest-like construction allows you to open the wetsuit without having to remove it during race transitions. The new super elastic material in the lower body will allow you to run freely, as well as prevent any abrasion, thanks to its durable fabric. The elastic mesh interior pockets allow you to pair this wetsuit with the Orca Swimrun Pad in order to gain a boost in buoyancy. Created for Swimrunners by Swimrunners. With the goal of bringing the latest innovations to the world of Swimrun, Orca present you with their third-generation wetsuit, the Orca Swimrun RS1 women. The main goal was for this wetsuit to be lightweight and to offer maximum flexibility for the fastest swimrunners. The use of our exclusive Yamamoto 44 material in the shoulders offers unparalleled elasticity for swim strokes, and its revolutionary vest-like construction allows you to open the wetsuit without having to remove it during race transitions. The new super elastic material in the lower body will allow you to run freely, as well as prevent any abrasion, thanks to its durable fabric. The elastic mesh interior pockets allow you to pair this wetsuit with the Orca Swimrun Pad in order to gain a boost in buoyancy. Created for Swimrunners by Swimrunners. With it's unique blend of Stretchskin and Vapour-Cool fabrics, the Orca 226 Kompress race trisuit sleeveless black/pink women will improve aerodynamics, decrease muscle fatigue, naturally keep you cool, and provide maximum comfort over long distances. A regenerated Tri-Tech Chamois with 110kg density is cushioned in just the areas triathletes need, while angled covered pockets give plenty of space to store all the nutrition you need. 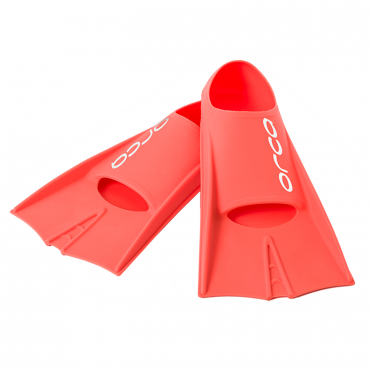 Orca Swim fins orange are designed to improve your kicking technique and increase your flexibility at the ankles. Increase your body’s resistance and the strength of the muscles used for kicking. They also offer homogeneous resistance for a fluid, natural movement in the water. Strengthen your kick and performance. 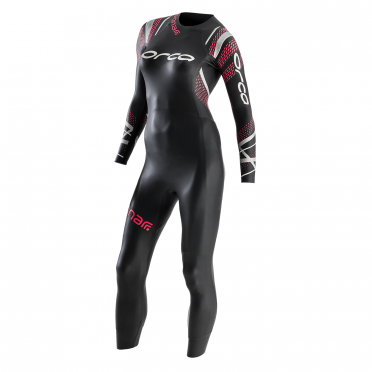 The Orca Swimrun Core women is a wetsuit designed specifically for swimrun competitions that adapts to the needs of both the footrace and swimming. Extra buoyancy in the lower trunk keeps your legs on the surface while you swim, without hampering your freedom of movement during the footrace. 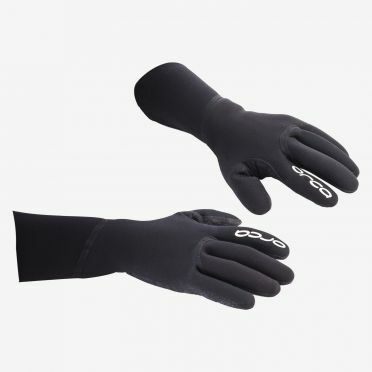 The two removable sleeves made from 2-mm neoprene make this wetsuit a versatile option: you can take off the sleeves during the race and put them back on during the swimming segment for greater buoyancy. 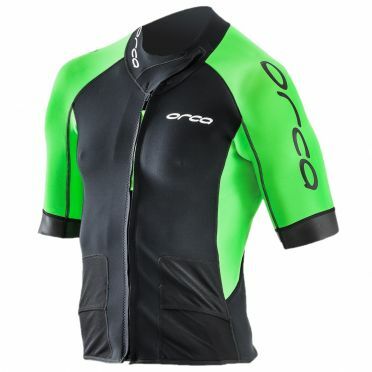 The Orca 226 Tri jersey short sleeve black/blue/white men offers high performance for long distance racing. Using a mix of technical Stretchskin fabric for outstanding muscle support and improved aerodyanamics. In combination with excellent UV protection, along with Vapour-Cool on the chest and underarms to naturally cool the body and promote fast wicking to keep you feeling drier longer in hot conditions. Three large rear pockets across the lower back gives plenty of room to store the nutrition you need within easy reach.